Paul has worked with Conservation Districts across Washington State as part of his 30-year career as an environmental engineer. He currently works at the Department of Ecology on water quality, hydrology, water supply, watershed functions, and climate change, with a particular focus on identifying and modeling water quality problems. He admires CDs because they are implementing restoration projects on the ground that fix the kinds problems he studies. Paul lives with his wife on acreage in rural Thurston County, where he has a small orchard, gardens, and chickens. He’s a former 4-H leader and his sons’ Envirothon team won the Washington State championship. His sons are grown and Paul now has 7 grandchildren. As a parent and youth leader he appreciates the important role Thurston CD plays in educating our youth. And as a property owner, he also appreciates that Thurston CD is on the front line of helping residents and owners of working lands enjoy their property while also enhancing the rich environment we all share. Paul holds a Bachelor of Science in Renewable Natural Resources from the University of California at Davis, and a Masters of Engineering in Environmental Civil Engineering from U.C. Davis. 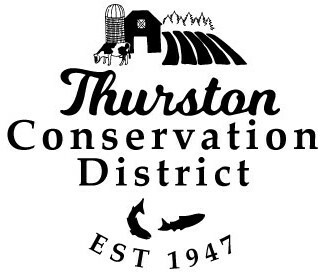 From 2001 through 2012, he served as an elected Commissioner for the Thurston Public Utility District, a local water utility. 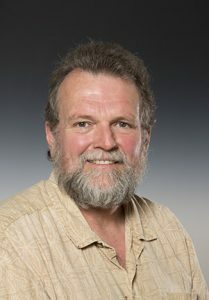 He taught classes on water and climate change at TESC 2009 through 2016.